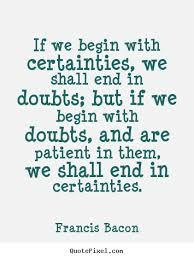 Image: Doubts? by TioCha on deviantART. Click image to page. Sometimes whether or not you have chosen the path into awareness, doubts do plague us. It’s specially more troubling when you are starting your journey into the unknown. Just awakened, sleep still fogging your heart and mind as you take the first few steps into the vastness of reality, the journey to remembering your true Self. Sometimes even when those first few steps seems completely right, that feeling of absolute rightness within you may start fading a little. You pause. Looking forward you don’t see much of what lies ahead, because there will be times when we would need to learn to listen to our heart. And the voice of the heart is soft, it’s non judgmental and it rarely if ever pushes you. It just nudges you. There will be times when you look back with a sense of nostalgia…wondering if this journey you’ve undertaken, this new journey, one of awareness…if it is all worthwhile. And so, we have doubts. I have doubts. I think I may always have doubts. But are doubts always bad? Is the experience of doubt – as late psychologist Abraham Maslow asked – a need to know, or is it a fear of knowing? The contrast between curiosity and fear shows up as totally different felt sense. When you’re experiencing NEGATIVE doubt, the felts sense is CONTRACTED – you’re closed off and pulled in to protect yourself. But POSITIVE doubt – curiosity – is accompanied by a felt sense of EXPANSION, spaciousness and ease. Spaciousness means basically staying open to the moment, rather than being attached to a particular believe or agenda – p 65; Your Soul’s Compass: What Is Spiritual Guidance; Joan Borysenko & Gordon Dveirin. So when your doubts bring you down, when it makes you feel “contracted” and when it comes with this sense of fear that you feel in your gut or chest area. When it makes you feel sad…sit with it for a while. Know that it’s one of those “bad” doubts. This may be your opportunity to learn to trust. When your doubts don’t feel fearful. When you feel within you that it may just be your inner wisdom telling you to hold up a little, reevaluate your plan, then sit with it for a while too…and let you heart and mind work together to show you the different options you may have. Unfortunately, I tend to experience more negative doubts than positive ones. Ah Melissa BUT you do experience the positive ones..which is awesome. I too tend to experience more negative ones…BUT the thing is we are aware they are negative. Which means we can decide to do something about it 😀 So, all hope is not lost! Yay!! I often ask, What productive purpose does having doubt serve? Well, that’s the thing Eric. Many of the time we think of doubts as bad. Maybe the words we use are different but the good doubts, the ones that suggest we may want to stop a while, re look at things…reevaluate, reflect…those serve a purpose. That’s why I have decided that when it comes to doubts I’m not going to lump it all into it being bad…you know? Yes! Doubt often stems from fear . . . of making a mistake, of worrying about what others think of us, of life. Thanks for sharing those quotes Nancy! Yes, most doubts do stem from fear…but not all. That’s what I liked about reading the part about good doubts and bad ones. It made sense to me. For me what works is just telling myself not to be fearful, sitting with those doubts, giving it a hug and saying, it’s okay..there is nothing to fear. Trust in God. It’ll work out okay..and the like. Doubting can be unnerving. It can expose your vulnerabilities. It can get you stuck. But when you overcome it, your resolve is stronger. Good read! Great image! Thank you! and yes, that’s true. It’s uncomfortable but once we keep at it…it gets more comfortable! We need some of those doubts for sure. I like the idea of “sitting” with doubt. It’s not easy. Great post and quote! Doubt is a part of living. If I’m not doubting, I’m not pushing myself enough. I like that! Thanks Andra!! Doubts tend to keep us in check, and keep us from being overconfident which is usually dangerous. True that Peter. The thing about doubts…it’s good and bad; and it’s a matter of perspective. Also discernment plays a lot into this. We all of us have doubts, none more than I over the years… But I have a saying which is this when I am unsure of doing anything.. ” If in Doubt then Don’t” .. I believe that our instincts often kick in to warn us with our doubts and fears, And then I ask myself some questions, such as what is making me fearful, is it because its something new? or could it be my venture or what ever it is will fail? and if I can not come up with plausible reasons .. I take it that my doubt comes from the unknown.. For we often fear that which is not familiar or secure…. Sometimes we have to push ourselves over our thresholds of the boundaries we hide behind.. As we tell ourselves we would prefer not to, or argue with ourselves why we would sooner stay on our comfort blankets..
Its good to have doubts, but is also good to question ourselves why we doubt ourselves… 🙂 And Trust that sometimes we have to push our boundaries in order to grow..